A mobile campus card service that uses NFC built into microSD cards is now live at a “number of universities”, enabling students to use their mobile phone to make payments in canteens and to access buildings. A “wide range” of additional services are to be added in the future, including transportation ticketing. 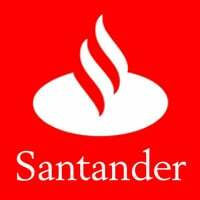 The service has been developed by Spain-based banking group Banco Santander and is being delivered via the bank’s University Smart Card service which is used by more than 7.1 million people in over 270 universities in Spain, Portugal and Latin America. Locations in Spain, Brazil, Chile and Mexico are all due to make use of the new service. The bank is using Gemalto‘s Optelio Contactless microSDs for the project. Gemalto is also providing personalisation, issuance and fulfillment services as well as the multi-service wallet framework used to deliver the mobile app used by students, teachers and support staff.